Since the opening of the exhibition, visitors to Van Gogh Repetitions have been giving us their best impressions of the Postman Joseph Roulin in the hopes of winning one of four monthly prizes. The competition has been fierce, and the three above winners have taken home prizes for October, November, and December. 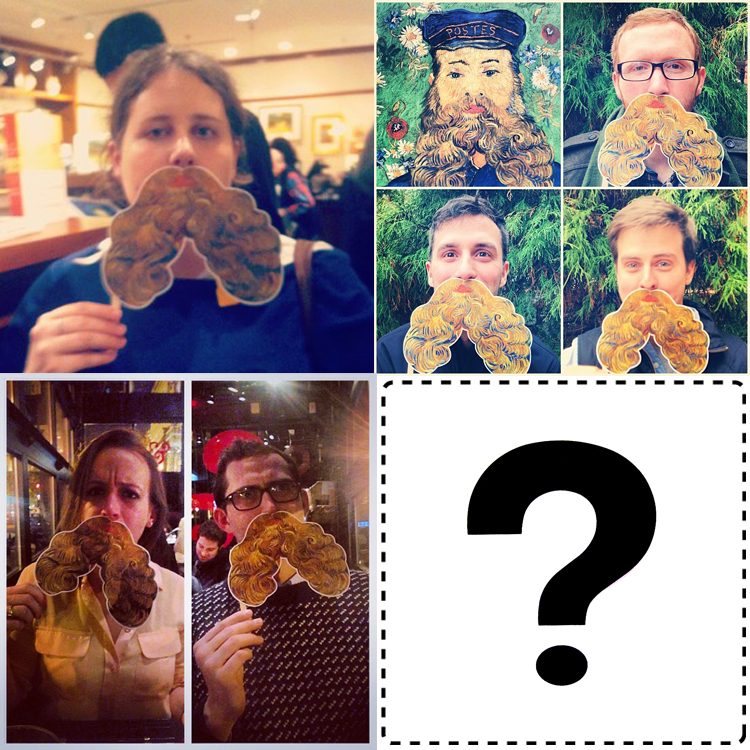 Our final winner will be selected on January 20, 2014; so grab your beard cutout at the Phillips museum shop and Instagram or Tweet a photo with it using #instavangogh for a chance to win a Van Gogh Repetitions exhibition catalogue. Find inspiration on our #instavangogh Pinterest board. Helpful hint: all attendees to the Dutch Discoveries Phillips after 5 on January 2 will receive a free beard cutout! This entry was posted in Exhibitions and tagged contest, hashtag, promotion, social media, Twitter, Vincent Van Gogh. Bookmark the permalink. Really good post. Nice skin and/or a well-groomed beard can make a huge difference in someone’s appearance. All the best beard oils, shaving products, and beard products come from http://www.detroitgrooming.com Definitely the best stuff out there right now!